Tubey Toys Review: Holiday 2018! 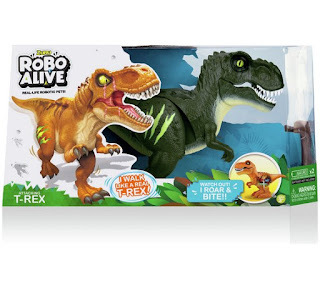 30+ Toys Under $20! Dolls, Crafts, Games, and More! Best Gifts for Kids Under $20! Holiday 2018! 30+ Toys Under $20! Dolls, Crafts, Games, and More! Best Gifts for Kids Under $20! In our family, we give presents to the kids only, and even though you may think this saves us money, it doesn't! 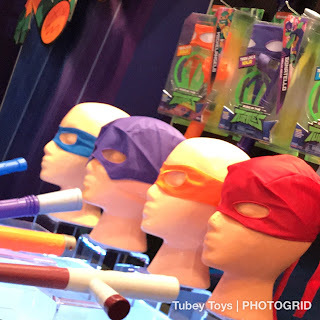 Kids' toys can get expensive, especially if you don't know what kids like or what's the latest toys out there. I have compiled our favorite toys of the year all in one place, and they're all under $20! There’s a little more than 30 gifts, but you get the idea. I have many more Holiday Gift Guides coming, and they will be categorized to make your holiday shopping a breeze! If you have questions on products, please feel free to comment and I’ll get back to you! They are categorized by type for easy viewing, and they are all under $20 -- even better! 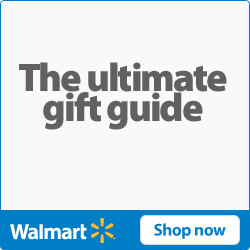 Stay tuned for more gift guides that are easy to find, and will be easy on your wallet! 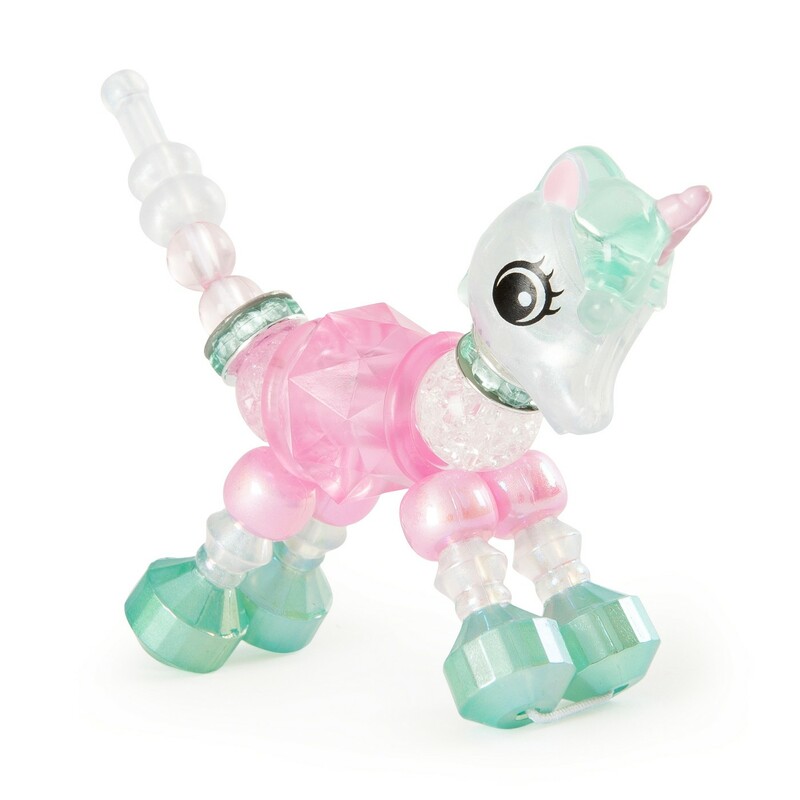 Twisty Pets by Spin Master are adorable and fun ways to craft! 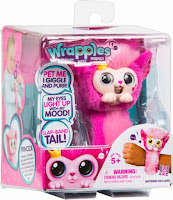 Kids will have so much crafting their own jewelry and then transforming the bracelet into a little pet! Imagine a balloon maker and how he or she twists and turns the balloons to create adorable balloon animals, you can do this with beads instead! Watching it done is mesmerizing, and the perfect craft item for your kiddo. Grab different varieties for $14.99 each, and each set comes with four Twisty babies, a jewelry box, and charms. Crafts are great gifts for kids, because it keeps them busy and it teaches them useful tips on following instructions, plus they are so proud of themselves with the end results! The biggest craze now is anything slimey and squishy which is why anything from the Horizon Group USA product range is affordable, and necessary for your kiddo’s stocking or gift for the holiday! With titles like Ooz-o’s, Fizzygloop and Squish-O’s, your kids will love saying them as well as make them! Ooz-o’s are squishy balls that you create, then squeeze to pop and feel the gooey center! Fizzygloop is just that fizzy gloop! Create fizzing slime and watch your creation turn into SLIMYGLOOP! I feel like Willy Wonka is behind these fun names! Squoosh-Os are create your own stress balls with fun themes - relax in style, strengthen your wrists, and just let out the sillies with these cool sets! And they are all - drum roll please! $5 each! Grab them at Michaels, Walmart, 5 Below, Target, Walmart, and at Barnes and Noble. Stay on trend with LEGO Fantastic Beasts Grindewald’s Escape set! Build a fully articulated carriage fit for a grand wizard in the making with open and close doors, and a removable roof. 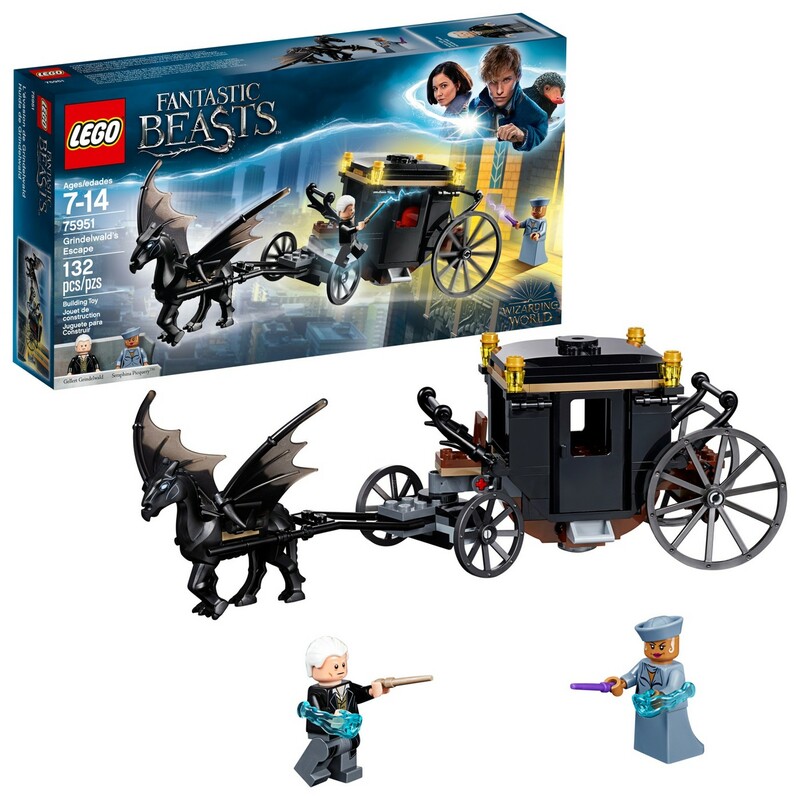 This set features mini figures Seraphina Picquery and Gellert Grindewald, and once built battle it out just like the scenes from the movie! Priced right at just $19.99, this is the perfect set for your LEGO builder ages seven to 14. Throw in a few Harry Potter/Fantastic BeastsLEGO Minifigures blind bags for just $3.99 each. 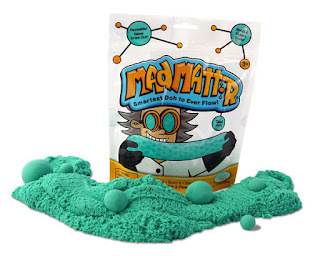 Kinetic Sand has so many elements of fun that your kiddo will be playing for hours. Build sand castles, hide treasure, and more with the Kinetic Sand Beach Sand Kingdom play set that comes with three pounds of sand to mold, play, crush, and more! 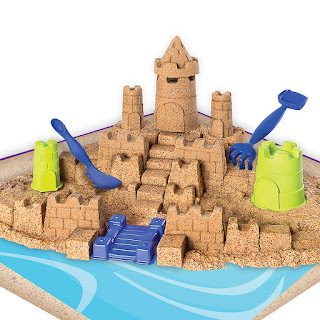 The set includes everything you need to make your own beach oasis. The set includes eight building tools, kinetic sand, and a handy storage box that keeps everything in place once done. Easy clean up goes hand in hand with Kinetic Sand as the sand particles are all “wet,” making them magnetize to one another, so if you drop any on the floor, you’ll be able to scoop them up easily. The perfect price point at just $19.99. 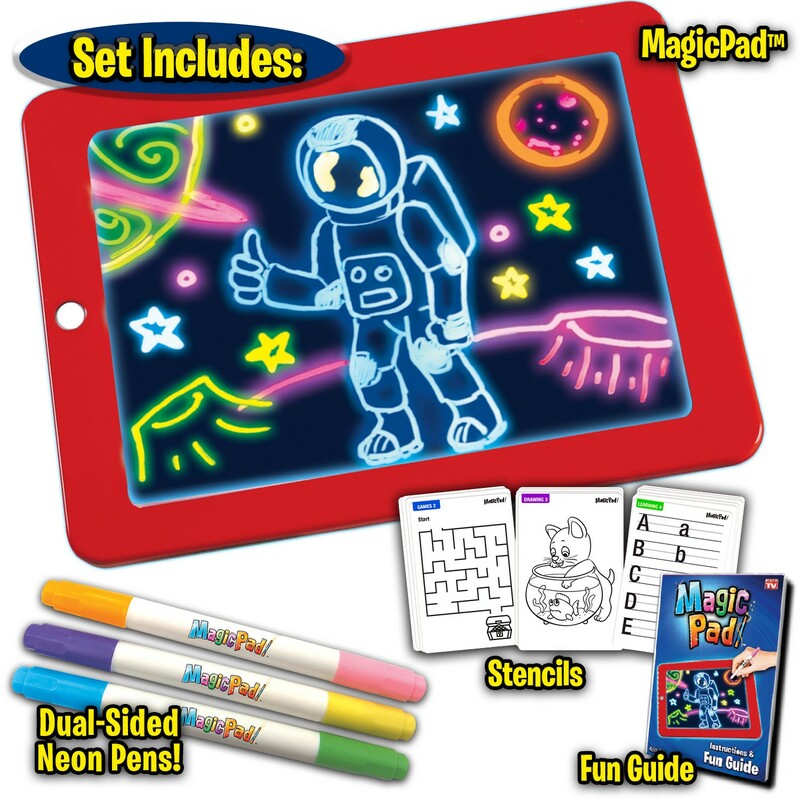 Let your creativity glow with the new MagicPad that comes with a bright light up MagicPad, three dual-sided neon pens (six colors in total), 30 stencils to help your little one’s creativity shine, a Glow-Boost card, eraser cloth, and a fun how-to guide! Less screen time equals more time strengthening fine motor skills, focus, patience, and creativity! Plus your kids may even speak to you while they’re drawing! For ages three and up, this set is only $19.99 and is the perfect gift for your budding artist. MadMattr is another cool building tool for kids. MadMattr is a buildable sand that never dries out and is super easy to clean up. 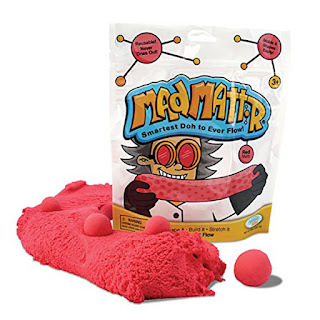 Grab a huge bag of MadMattr in different colors for $9.99 each. You can form MadMattr into any shape, and they are known for their MadMattr brick makers. You form buildable blocks to make walls, houses, even massive robots with MadMattr. The possibilities are endless, and so are the hours of fun! Give the gift of the world with Little Passports subscription box for children! Monthly packages start at just $14,95, and they have different experiences and editions that will suit your little one’s age range. The Early Explorer Edition is for ages three to five and they can learn about World Music, Space, Art, or Dinosaurs. The World Edition focuses on kids ages six to 10 years old, and they will be able to “visit” different countries each month with fun activities where they will learn about places like Brazil, Japan, or France. The USA Edition will help your kiddos ages seven to 12 discover America where they will learn about two new states each month! The coolest one is for ages nine and up where the human body is explored through forensic science. They can also learn about rockets and how they work, in addition to solar energy! There are so many options and so many reasons to get your kid into a subscription box. 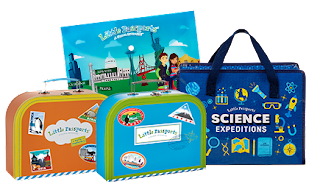 Little Passports will ignite a passion for travel, learning about science, as well as celebrating their own nation, state, or city! The base package is $14.95 plus shipping each month. You can bulk up the subscription to save money by purchasing a six-month package or a full year package. Six months is $83.70 plus shipping, that’s just $13.95 plus shipping per month. One year is $155.40, and that is $12.95 plus shipping per month. Who remembers The Magic School Bus and the adventures of Miss Frizzle and her class? I do! Now, your kiddos will be whisked away on fun and educational adventures with Miss Frizzle’s niece in The Magic School Bus Rides Again television show streaming on Netflix. 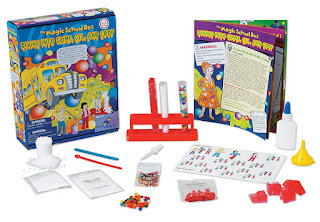 Bring more magic home with The Young Scientist’s Club activity sets, and for just $19.99 on Amazon for some sets, your little learner will be able to mix their own slime, make a model of our solar system, learn about the human body, construct a fossil and more! There are monthly scientific subscriptions set too for under $15 per month that will test your kiddo’s senses, and engage him or her in stimulating and educational ways! 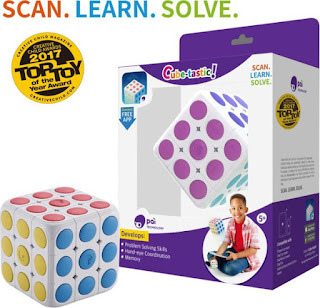 Pai Technology has an amazing collection of tech for kids, and at wonderful price points, which is why I think Cube-Tastic is the gift to give for the holidays. 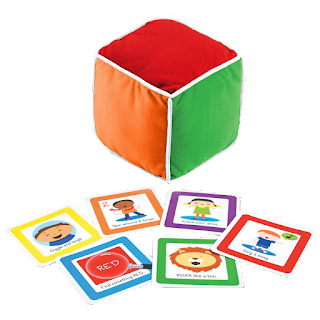 Cube-Tastic is the perfect way for your little one to build concentration, focus, develop hand-eye coordination, and logic skills. Cube-Tastic looks like a Rubics cube, but you can scan the Cube-Tastic with the free app, and learn the correct way to solve the puzzle. Cube-Tastic is safe for all ages because it contains no small parts, and has safe round edges for baby to grab away from big bro or big sis! Priced right at just $19.99, and sometimes even less at Staples! I have even seen it sold as low at $5 at Barnes and Noble! You should shop around for this incredible toy. Children of the 90’s, rejoice! Bandai is re-introducing the Original Tamagotchi to our Tamagotchi deprived hands. I remember begging my mother for a Tamagotchi when I first started High School, I was a rebel! I loved toys then, and I love them now. I didn’t care! I rocked my Tamagotchi on my Jansport loop like I was hot stuff, and took care of my pet and showed everyone his poop; yes, this was the original poop emoji on a DOT Matrix screen. This 2018 version is not a re-do, but more a reboot, and will include 16 different styles and will run exactly like the original Tamagotchi from 1997, although the Japanese version was released a bit before the US release. 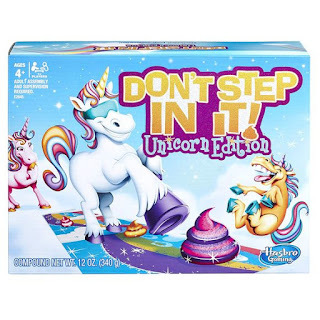 Your kiddo eight years and up will love this, and for $19.99, it’s the perfect addition to a gift for the holidays, to round out a birthday gift, or just because you know your loved one loves picking up digital poop. The Original Tamagotchi will be enjoyed for its entertaining tasks to nurture your little blob to descriptive pet. Parents will marvel about how this tiny toy was so ahead of its time and be so nostalgic about it that the whole family will get one! Choose from generation one or generation two! Massive Monster Mayhem toys are sure to impress your monster fighting kiddo! If you're familiar with this American Gladiator style show that looks like 90's Power Rangers, then you know you what I'm talking about! 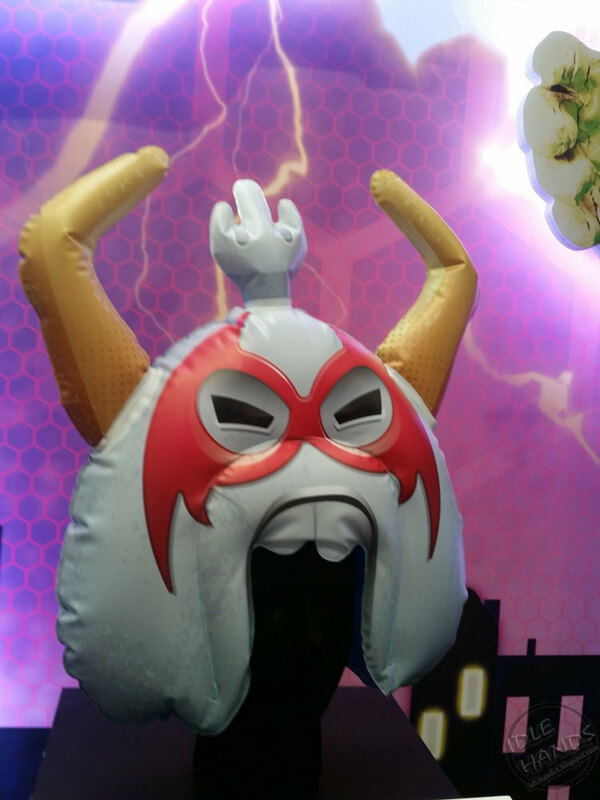 Get the blow up helmet and huge blow up fists set for $14.99. Complete your gear with the mace for $9.99. Exclusive to Target, there is also the massive mega ball moon available at $49.99, which is pretty steep, hence why I suggested the first two options! I just love these Tiny Arcades by Super Impulse! They are the perfect conversation starter, perfect for gameplay, and for role play! 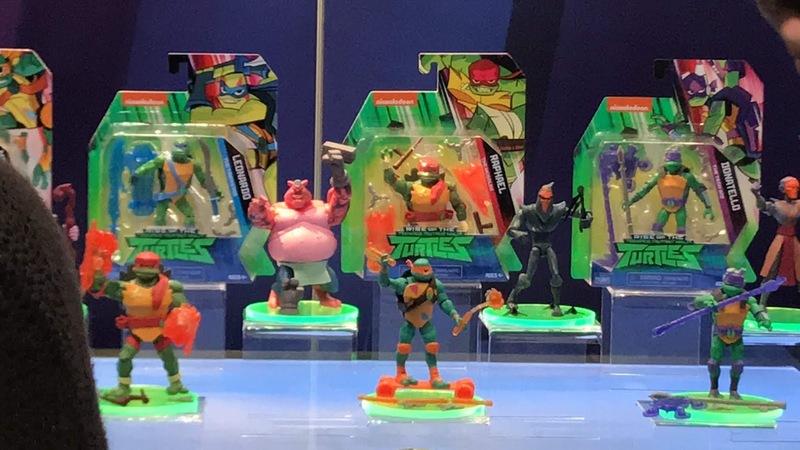 I plan to pair them with our favorite action figures! Seriously, they are the coolest smallest arcades ever! Small in size, big on fun your kiddo or big kiddo at heart will appreciate that you can play your favorite retro arcade games like Pac-Man, Galaga, Ms. Pac-Man, Dig Dug, and my all-time favorite, Frogger! You can grab it for $19.99 (sometimes they are $24.99), but also be on the lookout for series one versions that are little as $16 sometimes! You really do get the best bang for your buck this toy. The mini figures are big on fun! The perfect gift to show off your yo-yo skills would be with Bandai’s Hyper Cluster Starter Pack! The Hyper Cluster almost looks like a fidget style toy in that you can manipulate the yo-yo in different directions, and adjust speeds based on the type of skin you put on. You don’t even need to be an expert at yo-yoing! You can customize your Hyper Cluster by changing the skin with an arrangement of fun colors and designs! It’s simple to remove, and satisfying to attach with the crank sound - CRANK IT YOUR WAY! Perfect for kids ages eight and up, at the price of $14.99, you can’t beat it! Need a perfect gift for your little prankster, or lover of insects? Then your kiddo will love ZURU’s very realistic Robo Alive Black Widow Spider that will zoom around the house to the delight of your little one ages four and up! Even the baby likes our own spider that we reviewed over the summer! This spider zooms, spins, and bounces against walls! His furry body and realistic spider legs are just so creepy crawly! Priced right at just $14.99! In the same range and for the same price is the Robo Alive Attacking T-Rex that roars, walks, and glows in the dark! ZURU’s Robo Alive line is affordable and includes snakes and lizards, too! Playmates' Tiny Toes, new interactive dolls that fit in the palm of your hand. Tiny Toes responds to touch, light, and gentle motions to awaken with the cutest of responses - there are six sensors in all to make each movement and response totally seamless. Tiny Toes open and close their eyes, respond with endearing reactions, and also have articulating hips, gently posing them into a sleeping position to lull them to sleep, or sit them up for play time. With three adorable characters to choose from, your little ones will be totally smitten with these cuties! They are sold at Walmart, Target, Amazon for just $14.99. Lil Gleemerz are the latest interactive plush toy by Mattel featuring sensors and touch points that activate a world of color in these cuties. Watch as their tails light up like a Christmas tree, and press their noses to activate a light show. Four sensor touch points around the doll allow for it to make funny sounds like fart noises, say funny phrases, growl, purr, and more. Their big eyes will make your heart melt with just how cute they are! 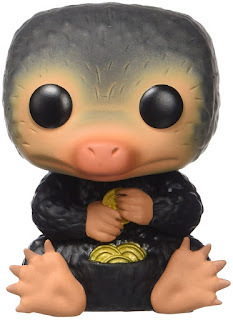 Grab them now as these Lil’ Gleemerz are going to be a hot toy for the holidays for sure, especially at just $19.99. If you grab more than one, they’ll interact with one another, so these are the perfect gifts for siblings. 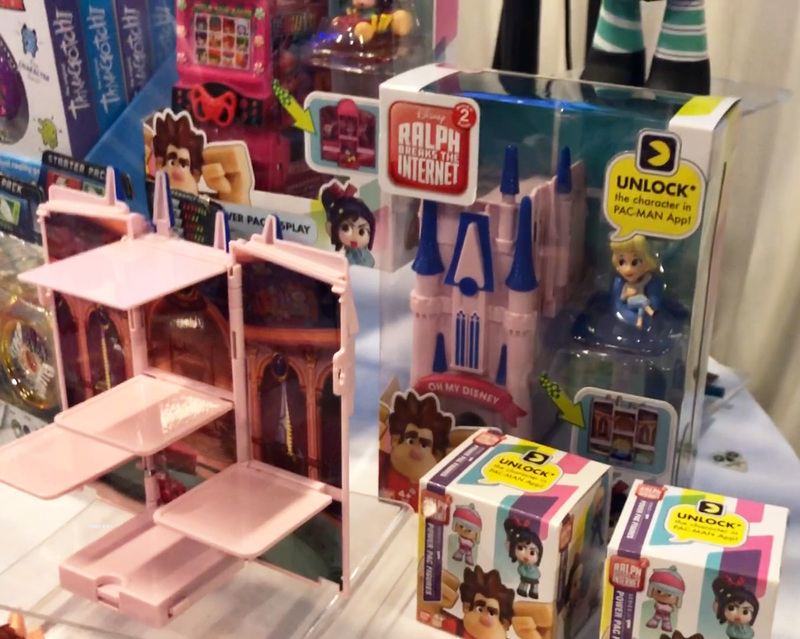 More 90’s nostalgia comin’ at ya with Mattel’s re-boot of Polly Pocket. Choose from one of three small worlds like Snowmazing Surprise, Flamingo Floatie, and Cake-tastrophe. Each world has tiny little elements that I know kids will love exploring. I love the Snowmazing Surprise globe with the small toilet in the water closet. The micro dolls are slightly poseable in that they can sit and drink a cup of cocoa, go for a sled ride, or even sit on the toilet! For youngsters as small as four years old, your kiddo will delight in getting immersed in the world of Polly Pocket. Basic Fun! 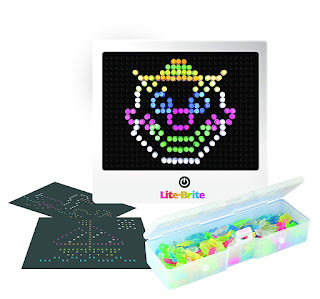 is bringing the fun back into toys with their re-vamps of some of my favorite 80’s and 90’s toys, especially the Lite-Brite Retro set. 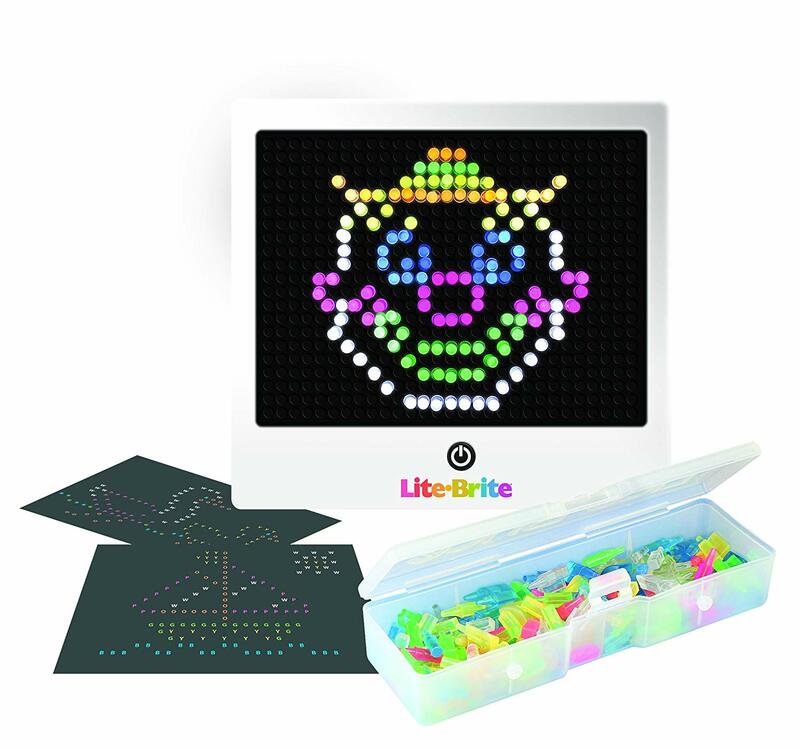 With this new and improved version, you’ll get a bigger screen, more templates including six of the original patterns, bright pegs, and all of the feels of your childhood! Watch your kiddo play with this set like you did, and then take it away at night so you can play with it! That’s what I’m going to do! For less than $19.99, you’re buying peace of mind, as well as a very creative piece of nostalgia that will keep your kids busy for hours on end. For kiddos ages four and up. 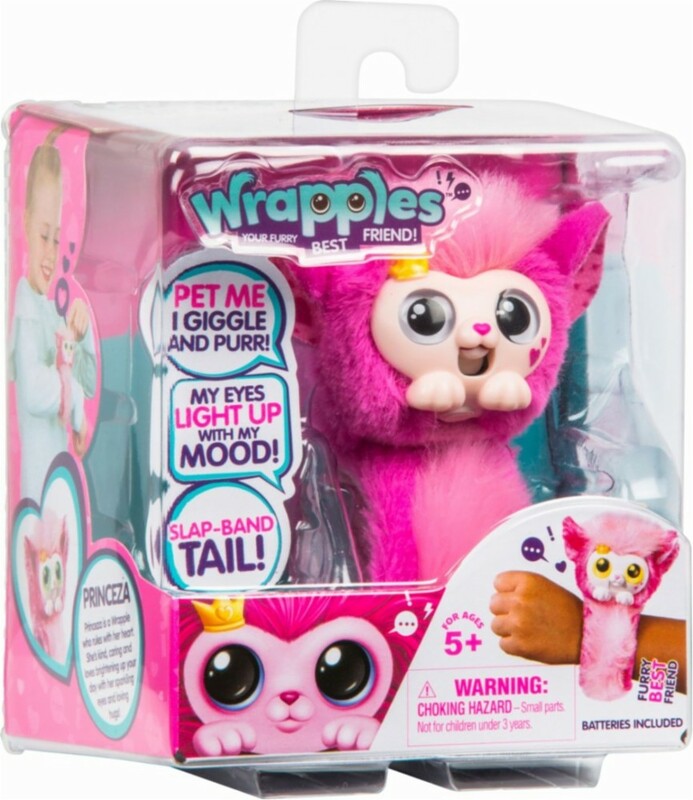 Tiny toy giant, Moose Toys, unwrapped Wrapples — adorable plush slap style bracelets that wrap around your wrist, Their eyes light up based on their mood, they giggle and purr, too! It's like a fashionable, interactive pet for your wrist. With a fun variety of colors and friends to choose from, this is the perfect gift for your fashionista! Priced at $14.99, it’s a great price for the purr-fect person in your life! I’m getting all misty-eyed with this one. My Little Pony turned 35, and I’m old. Haha! Seriously, Basic Fun! reintroduced the original My Little Pony molds back on to store shelves with adorable Unicorn and Pegasus Ponies, as well as the original six Rainbow Ponies. All for $9.99 each. 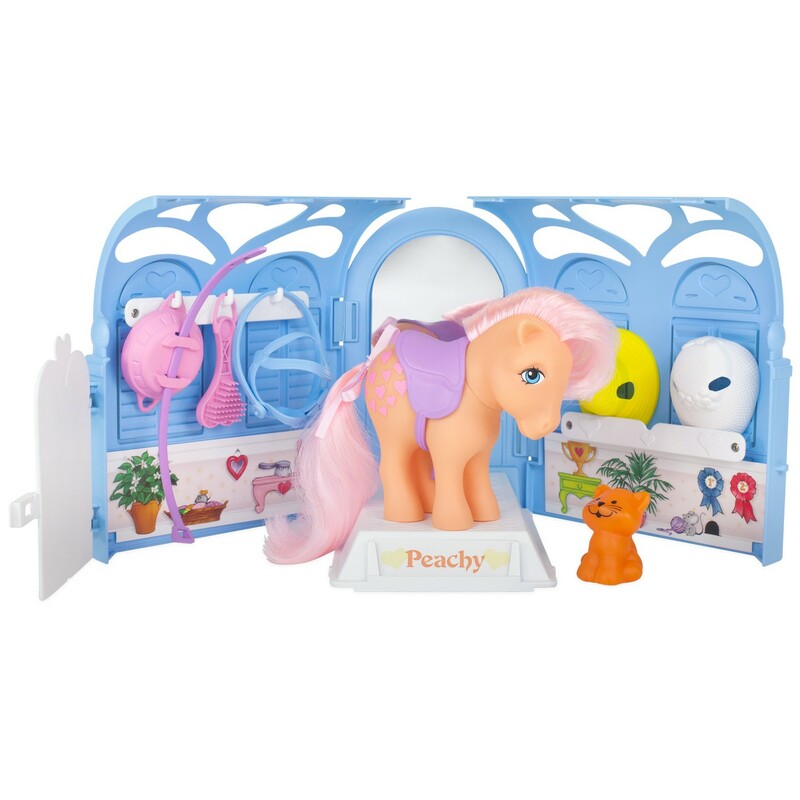 Add a play set in the mix, the Pretty Parlor Playset, that was recreated just like the original for just $19.99. 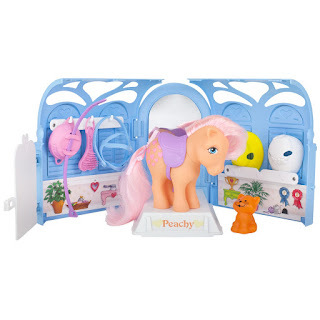 My Little Pony playset and ponies are for believers ages and three and up. 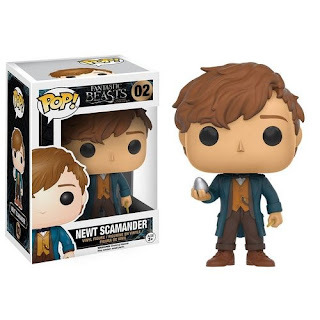 Fantastic Beasts will be returning to the big screen in 2019, but enjoy some hot under $20 gifts now for your fan! From Funko, they are releasing fun, cuddly collectible plush. Find them at Hot Topic and other specialty stores for just $11.99! More for Fantastic Beasts products include Funko POP! and Funko POP! Rocks featuring characters from the hit film for just $9.99. Fire in the hole! That’s what you’ll be yelling while playing the new and exciting game Ya Blew It by Wonder Forge. Dig through the card deck to prospect for gems by rolling the dynamite die - the number you roll dictates the card you pick up! This game is a blast for sure! Be sure to be careful, you may pick up the dynamite card and get blown up yourself. Perfect game for explosive holiday fun! 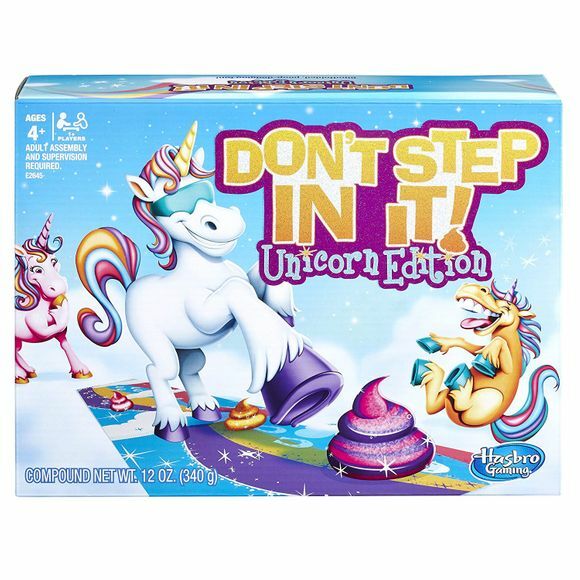 For ages eight and up, this game is sure to excite you and bring the whole family together! Get it before it’s gone at just $16.99. Toilet games! Poop surprises! The world of gross is getting bigger, so why not add in JAKKS Pacific totally fun Toilet Paper Blaster Skid Shot! 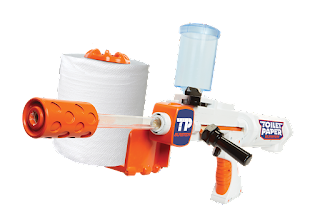 For just $19.99, your kiddo eight years and up can use real toilet paper to blast it up to 30 feet. Why do we need this? Why is this a great gift? Because we do! Add in a roll of toilet paper (not included), I would suggest 2-ply, then add water into the tank - ready, aim, fire to make the ultimate spit wad without the spit! 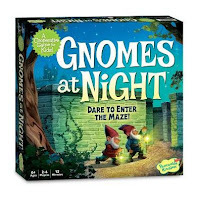 Gnomes at Night is a fun game for two players, and what makes the game even more fun is that it is a cooperative game; players work together to win together (you lose together, too!). Gnomes at Night teaches patience, communication, and good sportsmanship as well, which are excellent assets to have with a board game. Just under $20, Gnomes at Night is the perfect gift for the holidays, too. Players work together to move their magnetic game piece that also moves the other player’s piece in tandem. The game works like a maze, so you must help one another out to locate the Queen’s treasures! For little gnomes ages six and up, and just $19.95! 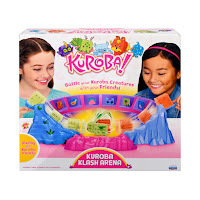 Take Rock, Paper, Scissors to next level gaming with Kuroba! Pick up a Kuroba Training Pack for just $8.99 by Playmates. 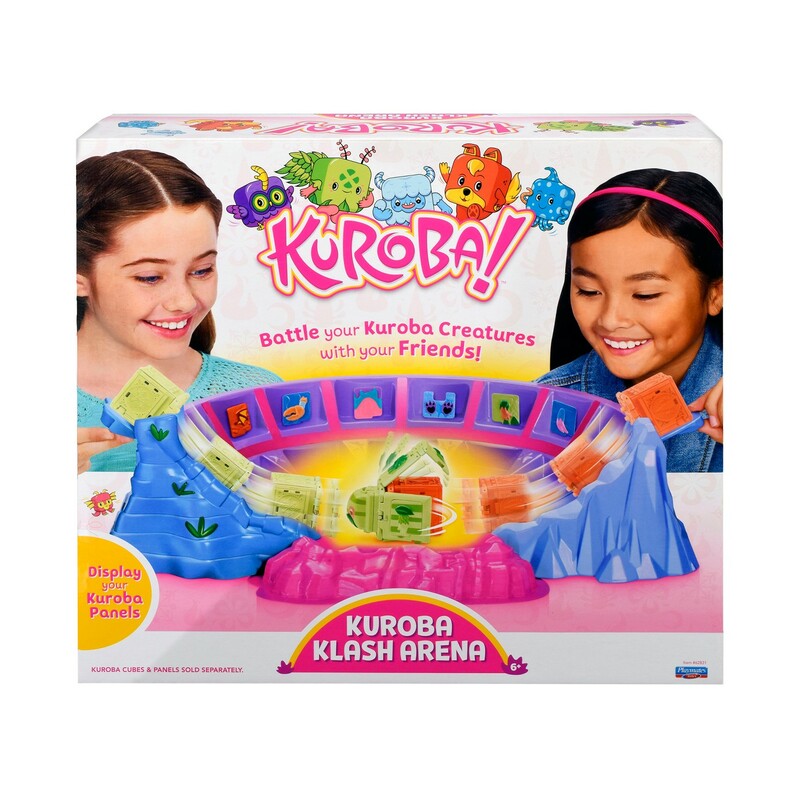 This tabletop battle starts when each player chooses rock, paper, or scissors, then fold up the Kuroba creature and lock it into game mode. To win the game, the winning Kuroba captures the other - it’s like the Kuroba cube gobbles up the other cube! Their clacking sounds have a satisfying sound too! Collect 16 Kuroba in all, you can also mix and match your Kuroba by changing out the panels from other Kuroba cubes from your collection. Clickety-clackety in the Kuroba Klash Arena, which doubles as a gaming area for your Kuroba cubes and a display case. Slide your Kuroba cubes at the same time as your opponent to see who will reign supreme. The Kuroba Klash Arena is $19.99 and will round out a gift with a training pack. Will your little one become the master Kuroba Keeper? Pair this gift with a visit to watch fun webisodes on KurobaWorld.com and their Kuroba World YouTube Channel. 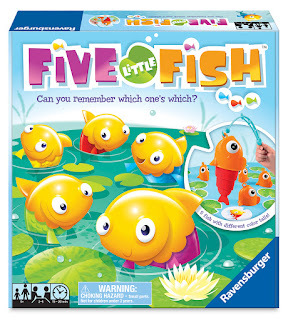 Toddlers and pre-schoolers will love Five Little Fish, which is a board game by Ravensburger. 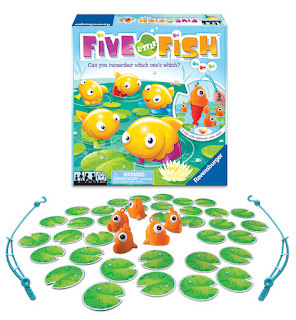 Five Little Fish is fishing game that tests memory, strengthens dexterity, and is loads of fun! The player with the most fish will win the game. 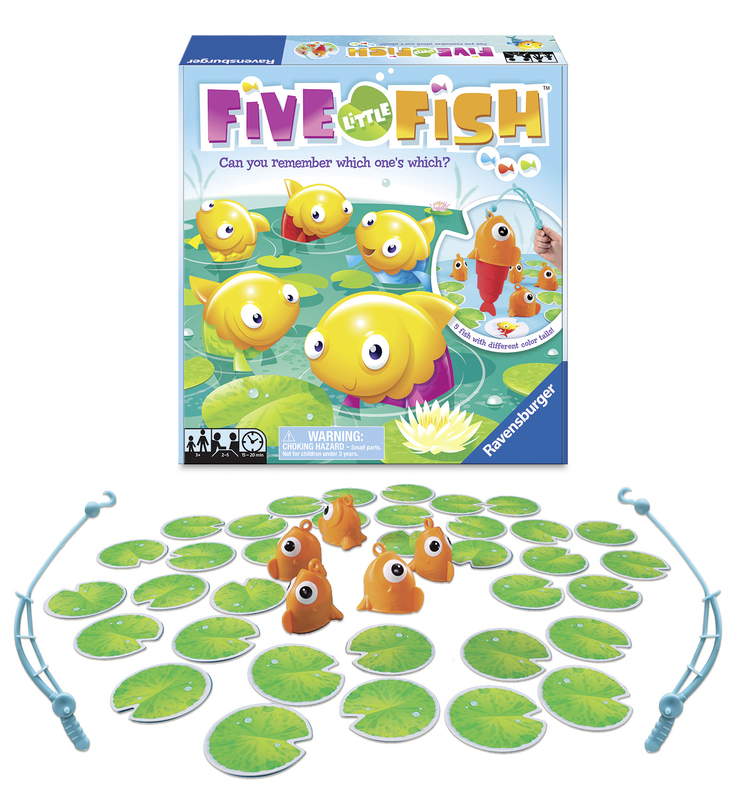 Five Little Fish is for ages three and up and is perfect for two to five players. Kiddos will love fishing for the fish and watch it pop up accordion-style from the “water. "Snag this perfect gift for just $19.99! Mighty Beanz are always a fun gift! Grab some mystery capsules for just under $3 each, and pair them with the Mighty Beanz Slammer Time Playset for $19.99. Mighty Beanz are fun beans that roll, flip, and even walk! We have so much fun racing our Mighty Beanz! With 140 to collect, your collection will grow fast. 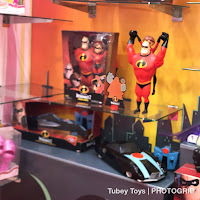 Each Mighty Beanz has different point values and fun characters. 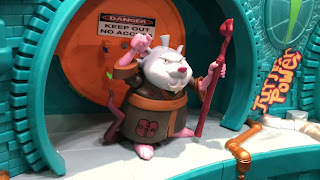 Have you found the Influencer Beanz yet that include our favorites Sandaroo Kids and Toys Review Toys - other awesome YouTube channels like Fizzy Toy Show, Cookie SwirlC, and Squirrel Stampede are there, too! 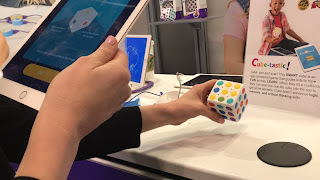 Roll and Play by ThinkFun! is the first game you should buy for your toddler! Connect with your kiddo with this game that is super easy, and easy to follow instructions. 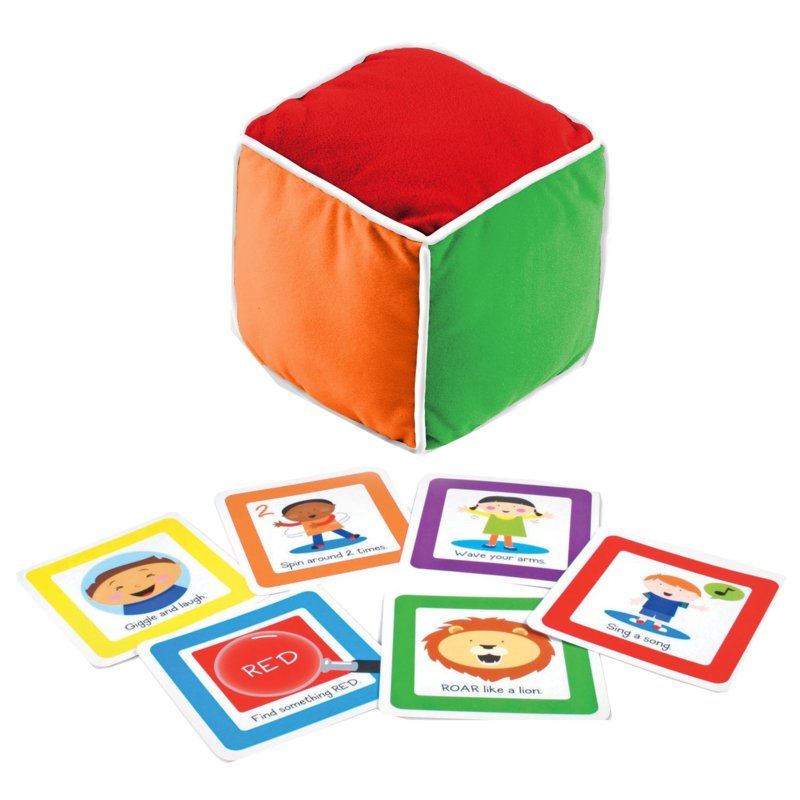 Express emotions, count objects, learn colors, and have the most fun for Family Game Night or use this amazing game as a great learning tool. Roll and Play is the best first game for the toddler in your life. You can purchase Roll and Play on Amazon for just under $20, which makes it the perfect gift and at a price just right. 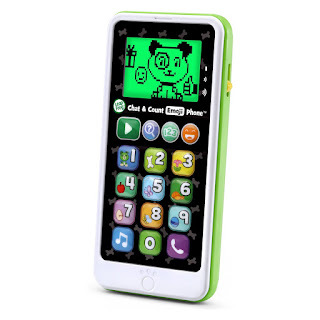 I love small toys that provide a lot of play time, so toy phones are really the best size for my bag and for my kiddo’s hands. 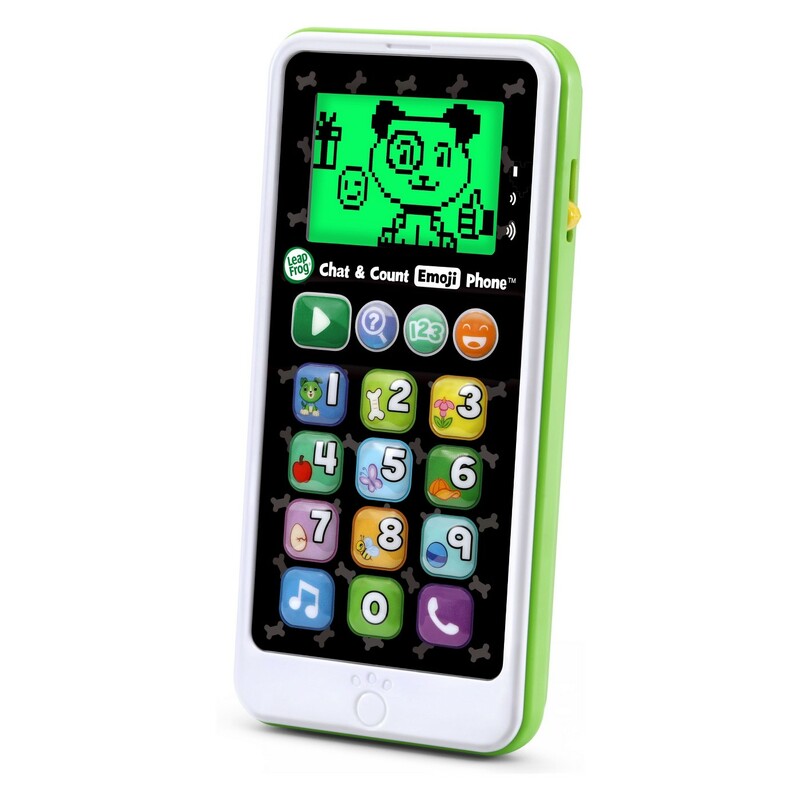 Leap Frog's Chat and Count Emoji Phone is the best get up and go toy for your kiddo. Kiddos 18 months and up can call Scout and see how he’s doing, dial the numbers and learn each number, hear fun songs, and they can also “text’ Scout and respond with fun emoji characters. 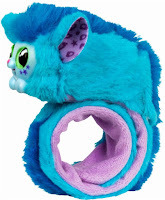 My son just needs to hold something that makes sounds, and this is the perfect toy for him! He also throws this toy a lot, and it can withstand the wrath of a very strong toddler. Side note: We call him The Ultimate Warrior. For $14.99, you’re getting piece of mind, a busy toy, and a great teaching tool for your kiddo. Learn numbers from 0-10, and watch Scout on the phone's screen — just like mom or dad! A child’s first two years of life is so important when it comes to language that 100 Word books are necessary, but when you have a kiddo that literally eats through their books and you’ve gone through two 100 Word Books already it gets to be kind of expensive to support his book-eating habit. 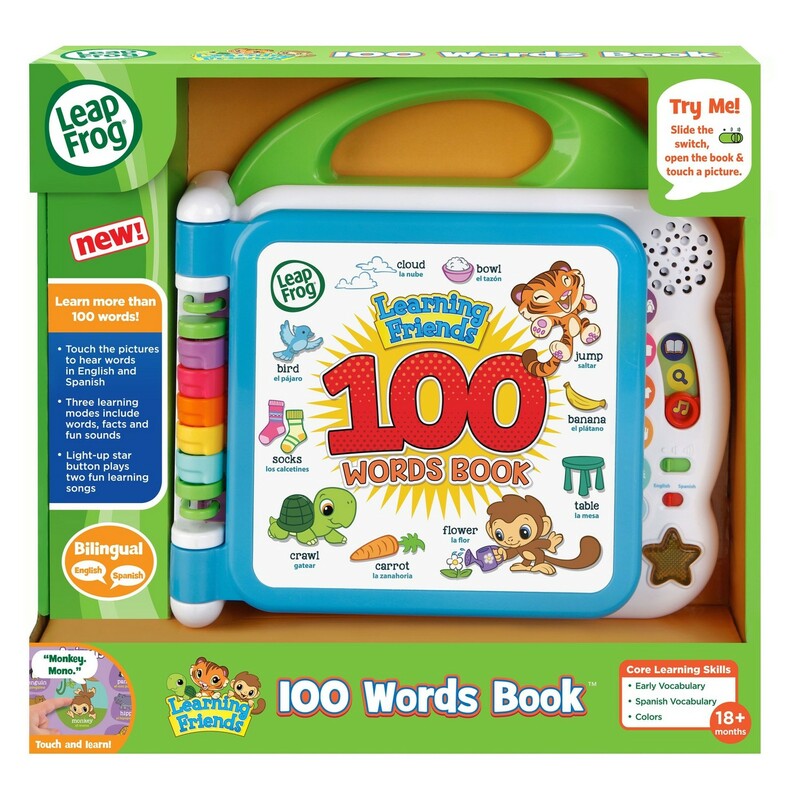 When I saw Learning Friends 100 Words Book by LeapFrog at The Toy Insider’s HoliDAY of Play event, I went ballistic. Not only does it talk, teach, sing, read, explain, and is bi-lingual (English and Spanish), the price point is fantastic. My son is one and loves to pretend to read already, and he loves this book so much. You don’t always have to keep it powered on, which is what I do, I let him hear the words in my voice, then I turn it on for him to explore. With options for reading, identification, songs and even animal sounds, this immersive 100 Words book will be sure to add plenty of new words and sounds to your toddler’s vocabulary. This is the perfect baby shower gift - the future of 100 Words books is right here! Grab it now for $17.99 for toddlers 18 months and up. Bubble Guppies toys are back and better than ever! Surprise your littlest guppy with the new and improved Bubble Guppies Swimsational School Bus by Just Play! The set comes with lovable Mr. Grouper, Gil with new fin bottoms (no more gliders! ), a sign, and real working fin that goes back and forth when you push it. The bus also has a neat carrier handle to transport the rest of the gang to and from school. The set is for ages three and up, and is only $19.99! Be sure to check out their other products in the Bubbles Guppies range including bath squirters, Molly Bath Doll, and adorable plush dolls! Go! Go! Smart Wheels got even more magical with the addition of Disney to their collection. For $9.99 each take home Mickey, Minnie, Goofy, Daisy, and Donald to your collection. Playing fun songs, their familiar voices will make your toddler beam with delight! Pair these little vehicles with the play sets on my Under $20 Holiday Gift Guide. The best part about Go! Go! Smart Wheels is that they work perfectly with older Smart Wheels tracks! V-Tech’s Go! Go! Smart Wheels is always a fun and substantial gift to give as it teaches so much with cause and effect, alphabet, and more! Now, with the new Disney line, Go! Go! Smart Wheels got even more magical! For just $19.99 grab the new VTech Go! Go! Smart Wheels Mickey Ramps Fun House. Geared for littles ages 18 months and up, your toddler will beam with delight with the familiar sights and sounds of Disney. Pair each play set with Disney character vehicles for just $9.99 each. 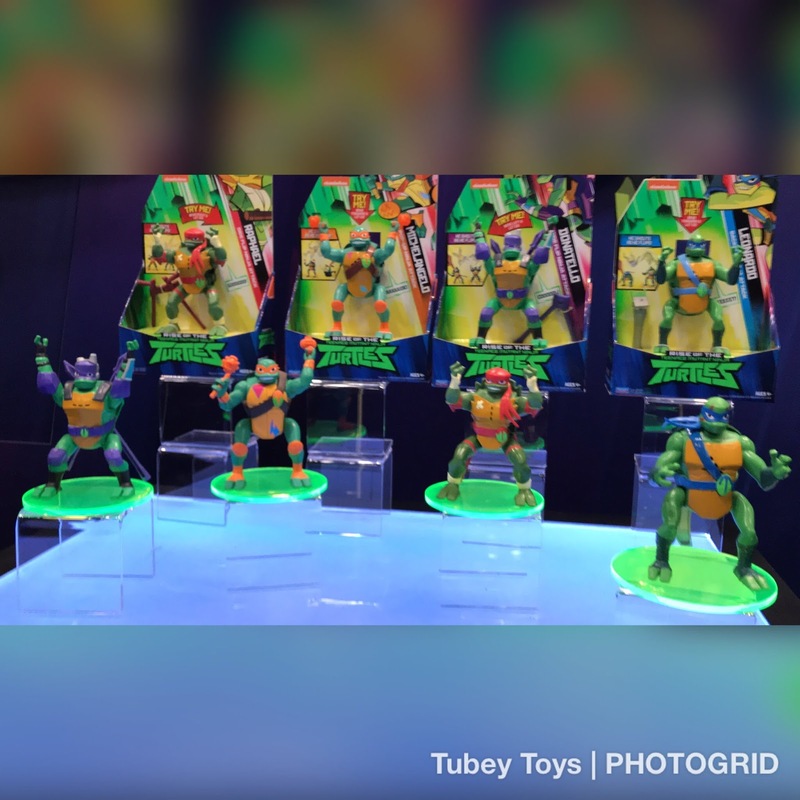 Teenage Mutant Ninja Turtles are back and back better than ever with the new hit show Rise of TMNT! 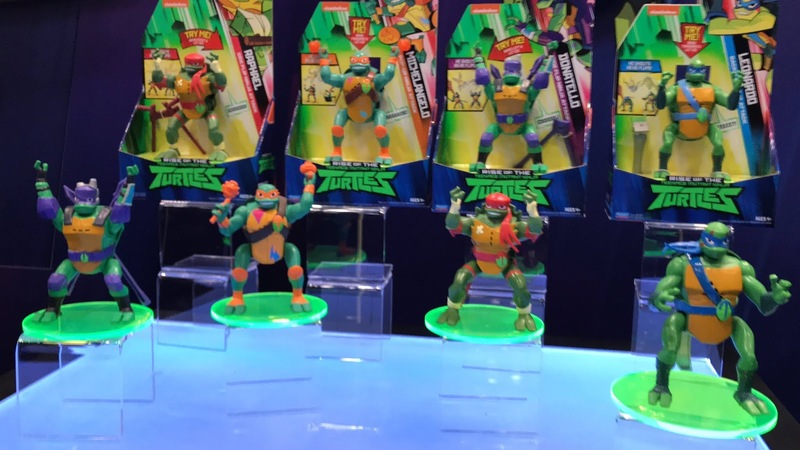 Playmates introduced this amazing line of TMNT action figures at New York Toy Fair! I was so happy to get a first look of them, and now they have finally hit the shelves. 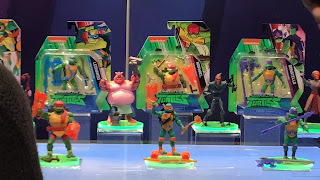 For just $9.99 each, grab Donatello, Leonardo, Michelangelo, and Rafael - with multiple points of articulation, show Shredder who’s boss! If you are a fan of our YouTube channel, then you know that we have nothing but love for Jakks Pacific's line of Disney Pixar Incredibles 2 Toys. 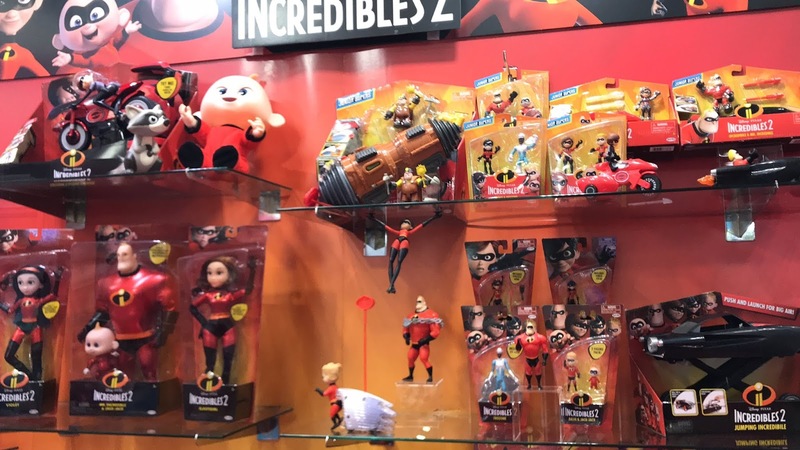 I think we have reviewed every single toy from that line with a few exceptions of fall 2018, but the season is young! 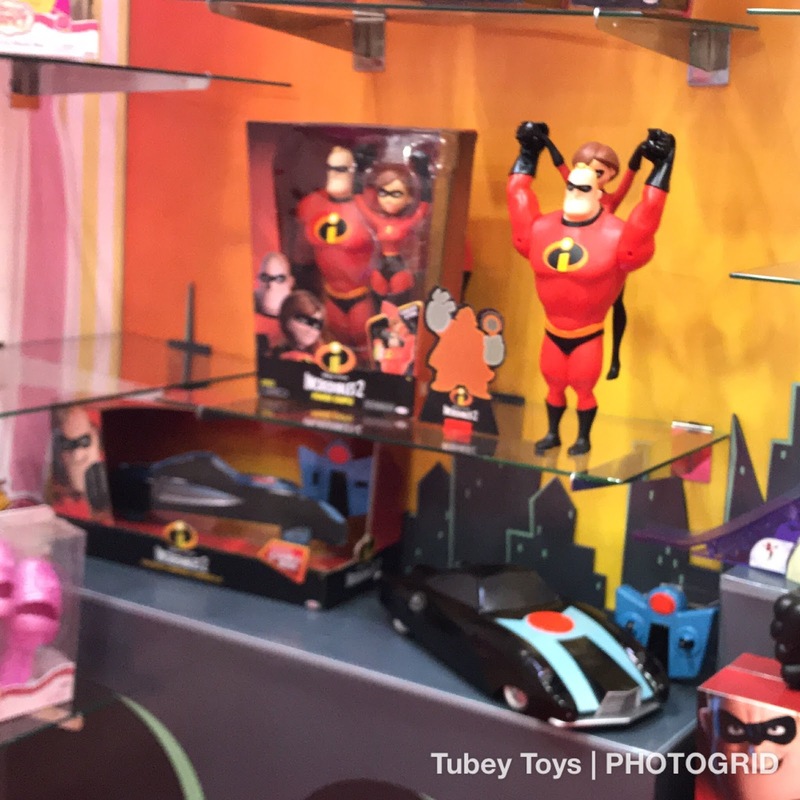 Under $20, you can find stretchy Elastigirl's toys, vehicles, poseable action figures, and more - all ranging from pre-school to avid collector. Check out our channel to see what I'm talking about as we have posed, played, and showed every aspect of this amazing range of toys. 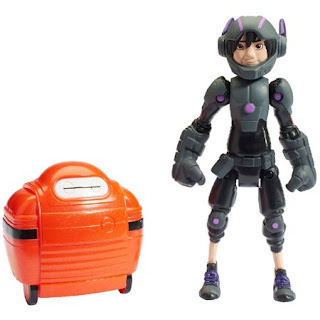 Fans of Big Hero 6 The Series will love creating their own play scenes with the new action figures featuring your favorite crew including Baymax, Hiro, Wasabi, Honey Lemon, Go Go and Fred! Recreate scenes from this funny show and heartwarming movie saving mankind from the scientifically enhanced super villains! For ages four and up, and priced perfectly at $9.99 each. LOL. That’s all I have to say. They range from $6.99 to $14.99 for the single dolls and their bunch of surprises. 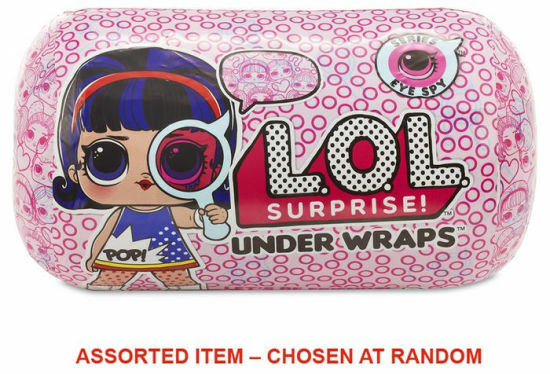 If you can find them Series 4 Unwrapped is the hot ticket for Christmas. 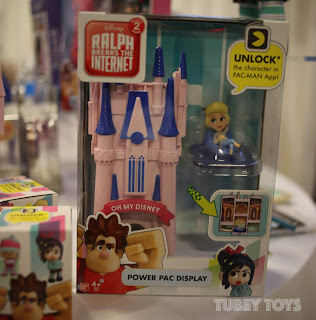 Disney’s Wreck It Ralph 2: Ralph Breaks the Internet will be hitting theaters late November 2018, so grabbing a few Power Pac blind boxes for $6.99 each now for your kiddo's stocking would be a great idea! I already foresee how hot this line of toys by Bandai will be! 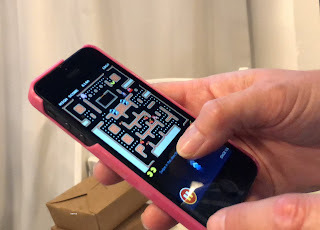 The best part is that the action doesn’t just stop once you unbox your mystery figure, you can scan your figure into the free Pac Man app that coincides with the movie, and add in your characters! The figures can also be stored in the Power Pac Display cases that are $19.99 each, and come in a fun variety of styles from Sugar Rush and Oh My Disney displays featuring Disney Princesses. 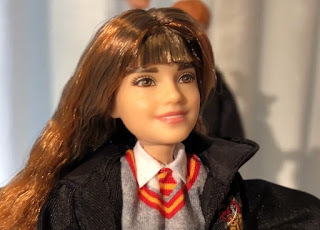 The Harry Potter Fashion Doll Assortment by Mattel is sure to please any Potter fan! With extremely realistic features, articulating parts, and even their own wands and true to life clothing, they are the perfect gift for your budding witch or wizard. Their likeness from character to actor are just uncanny! 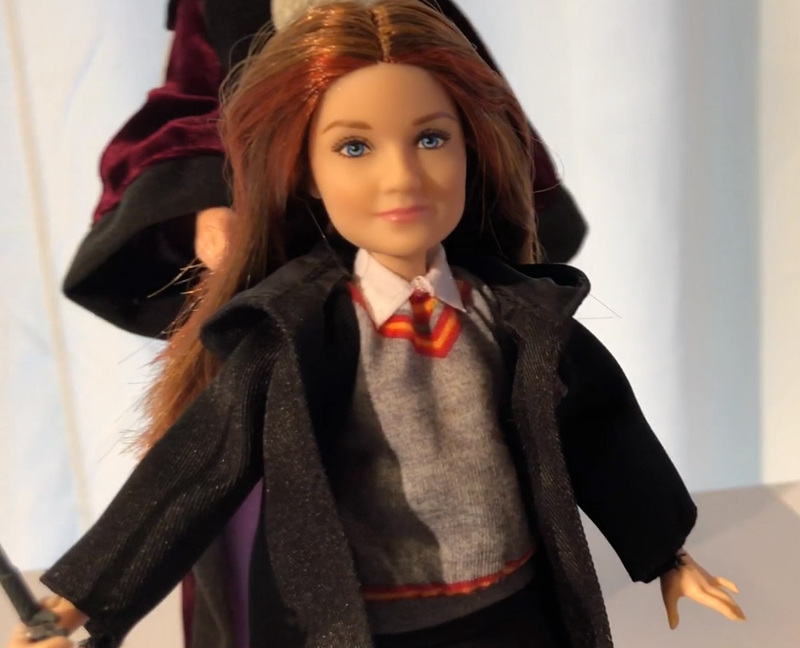 Hermoine and Ginny just look so real! Mattel is still the leader in fashion doll molds, in my opinion. Choose from Harry Potter, Hermoine Granger, Ron Weasley, Albus Dumbledore, Professor McGonnogall, and Ginny Weasley. 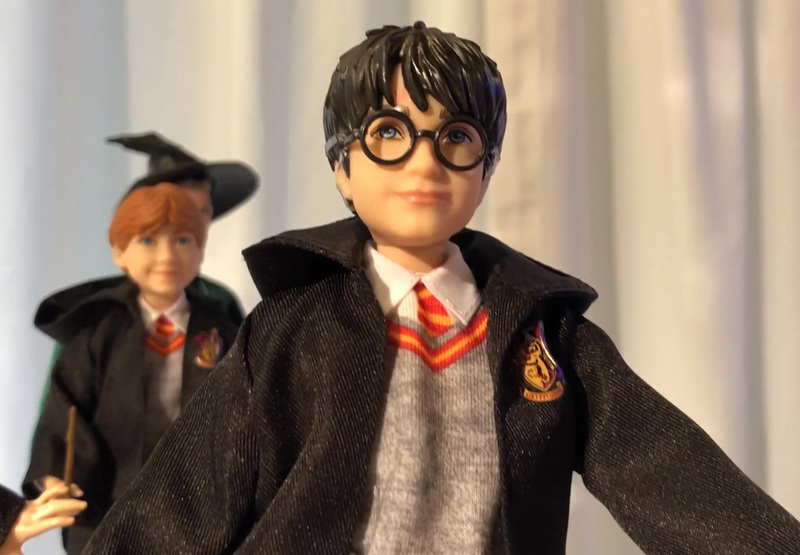 For ages six and up, and $19.99, this is a must for your collector and Harry Potter aficionado. 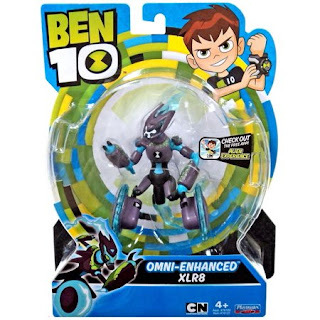 Ben10 the hit show on Cartoon Network now has new action figures and vehicles featuring storylines and characters from season two and are just the right price point for your wanna-be alien. Pair your 5” action figures with the new and expertly designed Ben10’s Omnitrix launcher to release 10 of Ben10’s alter alien egos. The action figures feature Omniblast figures: Heatblast, Four Arms, Cannonblast, and more. 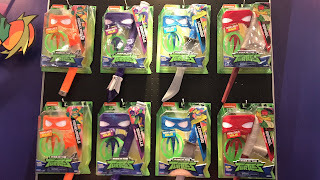 They also come with specific accessories and have articulating parts for super alien action poses, and are a great price at $8.99 each! The Omitrix Launcher is the best bang for your buck as each set includes the Omnitrix with adjustable wristband, three battle figures, and a table top target all for $19.99 each. 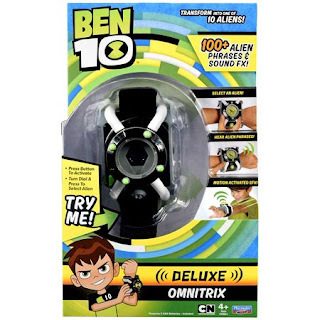 Deluxe Transforming Figures transform Ben10 into a deluxe alien with the touch of a button, and will create out of this world excitement for every Ben10 fan for only $12.99 each! Finally, Alien Vehicles perfectly designed for each alien’s home planet’s terrain can fire projectiles and each comes with an exclusive figure ($19.99 each, ages four and up). 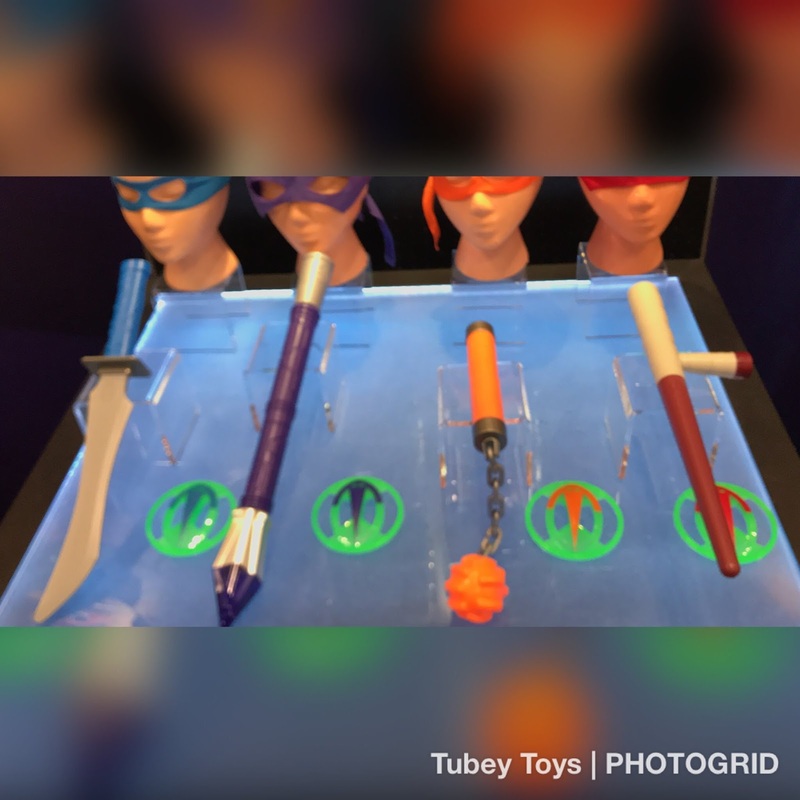 Hairdorables are hair-raising, so totally cool, and awesome dolls by Just Play that focus on encouraging young kids to succeed, to work hard, to play, and to explore the world around them with each of the Hairdorables’ theme. Take Neila for instance, she’s a stargazer! Noah is a content creator on social media whose video for showing a how-to hairstyle video went viral. The stories are fun about each girl, and there are 11 accessories to unbox. With 36 dolls to collect in all, you’ll always be surprised with which one you find! 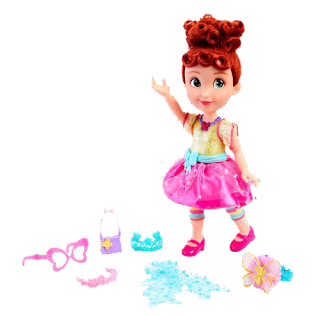 The dolls are poseable, wear cute outfits, are adorned with cool accessories, and have the best hair! For $12.99, give the surprise gift of the year! For littles ages three and up! It’s Jo-Jo with a bow-bow! 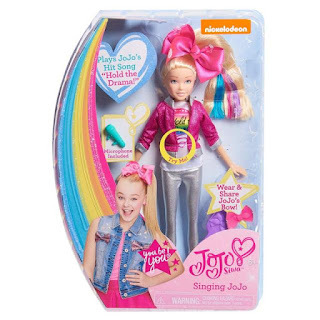 Jo-Jo fans will rejoice if they received this awesome new and improved doll featuring your favorite dancer, YouTube, all-around super star, Jo-Jo Siwa! The new “Hold the Drama” singing doll by Just Play will be sure to delight your Jo-jo an ages six and up! Adorned with her large bow, it matches her larger than life persona! Her style is rockin’ with her shiny hot pink jacket and cool pink sneaks! For $19.99, you can’t beat that deal! 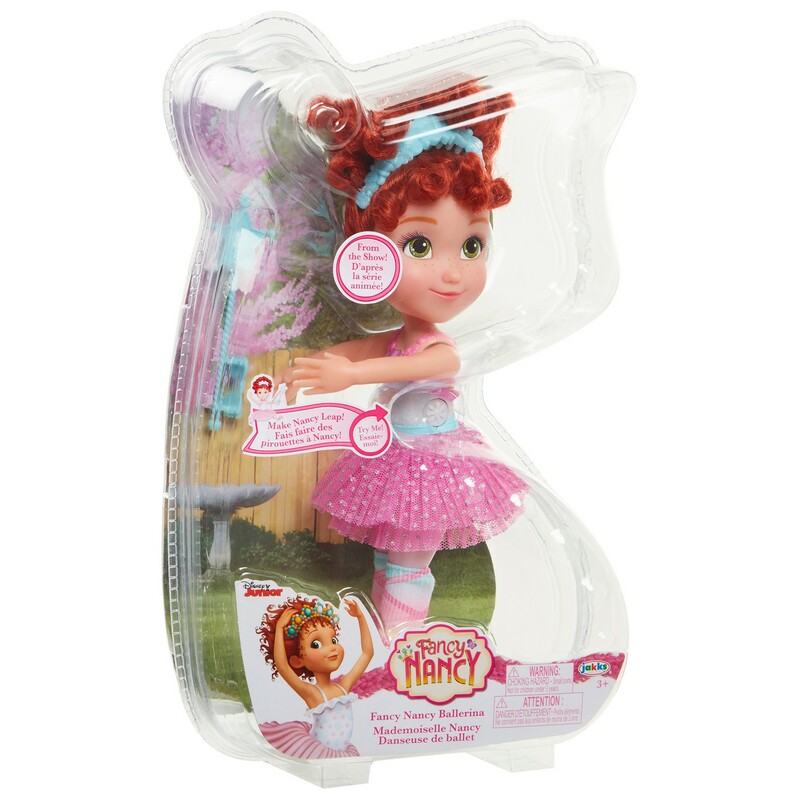 Fancy Nancy has delighted children for years with her fancy adventures. Disney Junior has brought the tales of Fancy Nancy to life with their new hit show, and JAKKS Pacific has brought Fancy Nancy in our hands with an amazing array of Fancy Nancy toys and dolls. 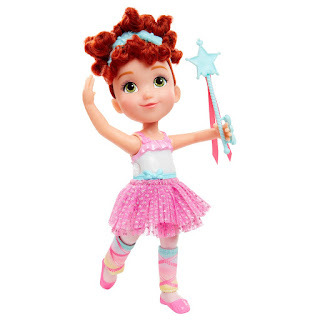 For just $19.99, you can gift the beautiful poseable Ballerina Fancy Nancy Doll that is 10-inches in size, super poseable in that she can plie and grand jets like a true prima ballerina! She is wearing a fancy tutu and can even bow after her performance. For a real play time experience, have a cup of tea a la Fancy Nancy with the Fancy Nancy Fantastique set! For just $14.99, you will gift a toy that will provide hours of play time fun including 14 pieces including a fancy server, tea service, and all of the essentials for a high tea. Lil’ Secrets are tiny lockets that are big on fun! From the makers of Shopkins, Moose Toys took miniatures to a whole new level! I had a similar toy when I was a little girl, and these Lil’ Secrets just pull at my heartstrings. Lil’ Secrets are adorable little lockets that have tiny little worlds inside. Unlock a world of the tiniest playsets for a big world of fun. 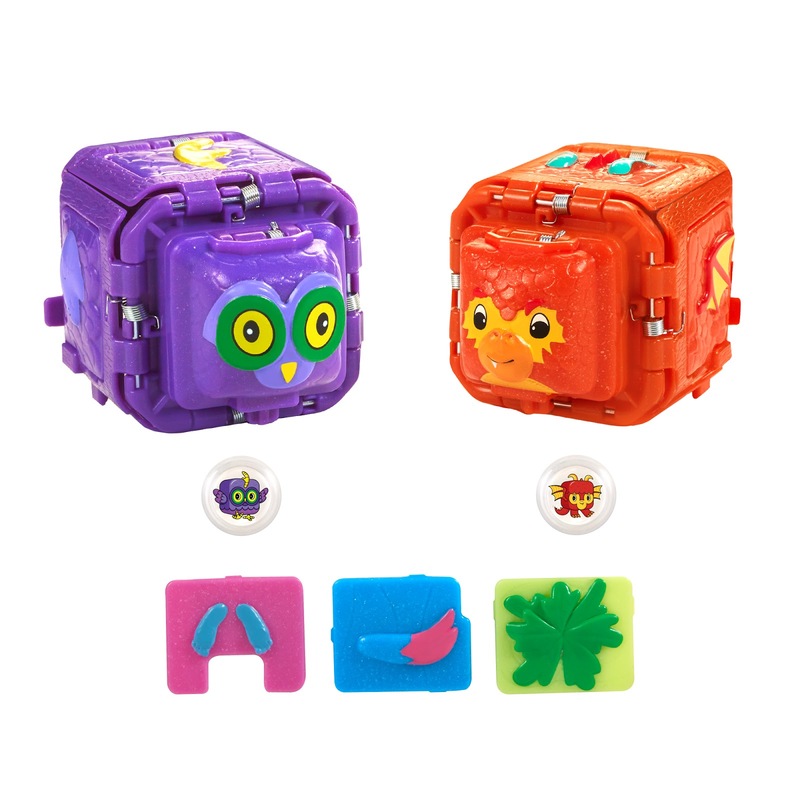 For just $3.99, each locket contains a tiny world of surprises with tiny Shoppies dolls and miniature Shopkins! 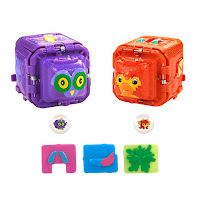 Pair these Lil’ Secrets lockets with their mini play sets for just $9.99 each. Add in coordinating Shoppie Dolls for $14.99 to round the gift. Calico Critters have the sweetest collection of figurines, playsets, and accessories. New for Calico Critters are the Town Girls Series, geared for kiddos ages six up, each adorable town girl has their own story, likes, and dreams! Choose from Stella Hopscotch Rabbit, Laura Toy Poodle, and Lulu Silk Cat. The three town girls are now older sisters to characters from the Village series. The new town girls are a little taller and will grow with your child. They each have their own beautifully decorated outfits, and intricate accessories. Also new are the blind bags featuring the Calico Critters babies that are $4.99 each. Pair the blind bags with the adorable play sets that are just $17.95 each, choose from Baby Treehouse, Baby Choo-choo Train, and the Baby Castle Playground. Calico Critters are heirloom toys and can be passed down from generation to generation - you can never go wrong with well-made playsets and figures like Calico Critters! Teach children the best way to care for a pet, especially one that has been abandoned! Scruff-a-Luvs are adorable plush pets that are scruffy and need lots of love and attention to get back to their original cuteness. Your little-abandoned animal needs to bathed, dried, brushed, and loved, and the end result is an adorable little pet for you to care for and to love! Each Scruff-a-Luvs pet comes with an adoption certificate, collar, name tag, brush, and hair accessories! Scuff-a-Luvs is also a proud supporter of the ASPCA! Priced perfectly at $19.99, this toy will provide thoughtful lessons on nurturing and caring for animals. I am sure I will be adding more toys as we get closer to the holidays, but get started now! Many of these items will sell out. If you want to wait to start your shopping, start scouring the Black Friday Ad Leak sites to be the first to know on what's going on sale and when! Happy Shopping! I would love the Tiny Arcades by Super Impulse and the Toilet Paper Blaster Skid Shot for my grandson. 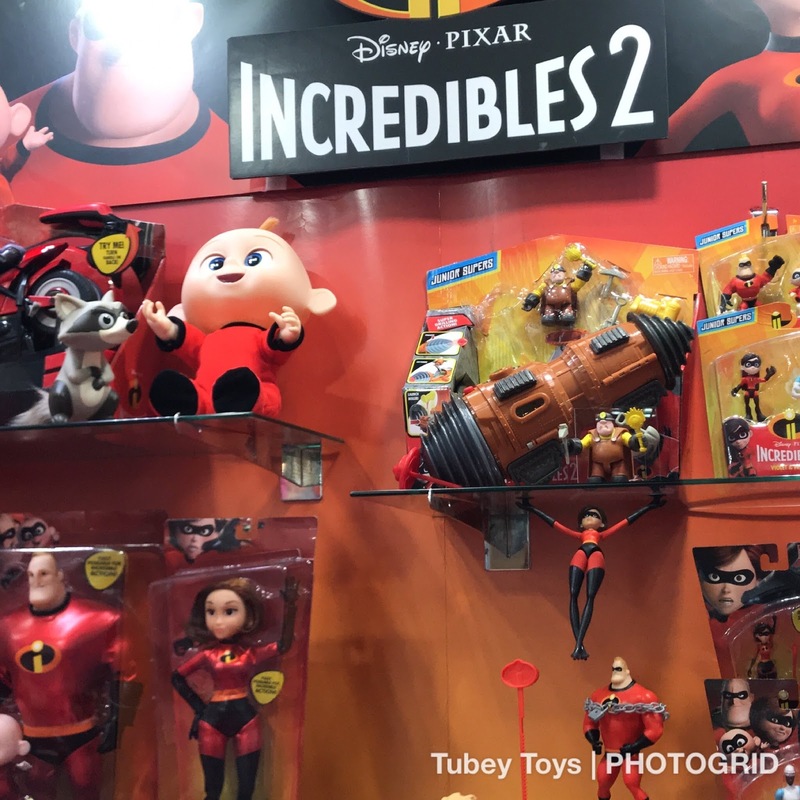 A lot of great toys here that won't put you in debt, there was quite a few toys I seen that my grandchildren would love to have! My son would love the fantastic beasts lego ! we just got him into Harry potter. I also need to buy the Five little fish game. 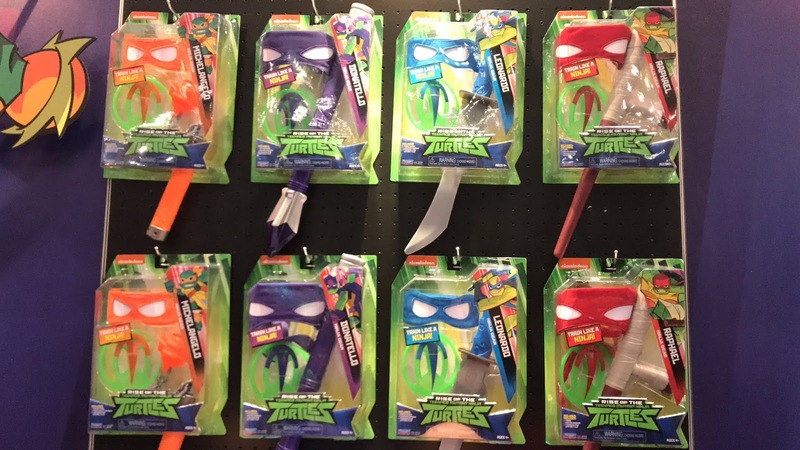 So many awesome stocking stuffer ideas . Gamers are aware that there is no console or other type of gaming device that can truly beat the performance a desktop can bring. But how do you separate the winners from the losers? see here now Which is the best gaming computer the market has to offer? In some variations of Crazy 8s, not just Wild Cards but other "rule cards" exist,unblocked games making the game more complex for older players.